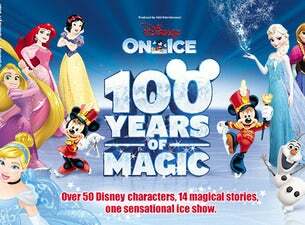 Grab your Mickey ears and get ready for Disney On Ice celebrates 100 Years of Magic! Be charmed by a cast of over 50, including Mickey Mouse, Minnie Mouse, Disney Princesses, and Disney’s Frozen as they bring 14 stories and 30 songs to life. Learn the Mouse Bounce dance during the Fit to Dance pre-show and captivate your whole family with memories to last a lifetime.